the sewing library there, after my mom moves her books. 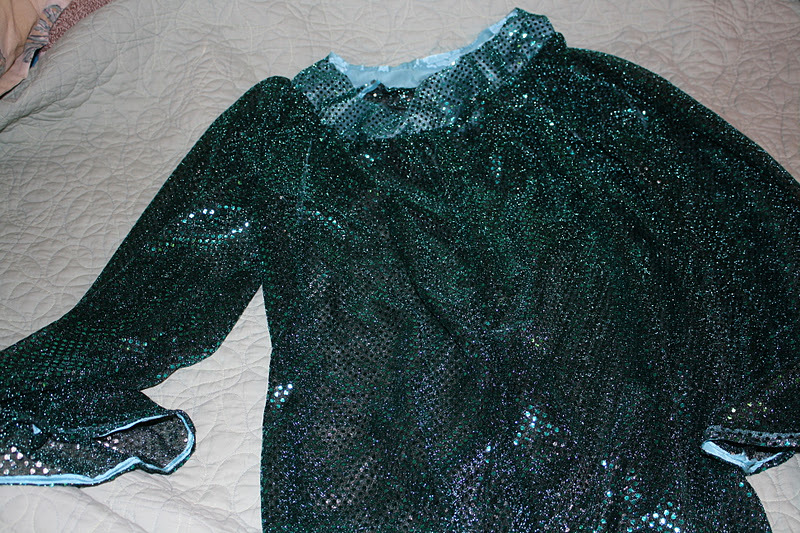 Well, as usual the Burda pattern is drafted very nicely, and the fit was actually pretty nice for my sister, but we have decided that while the photo looks great, having this top in a brighter sequined fabric is not flattering. 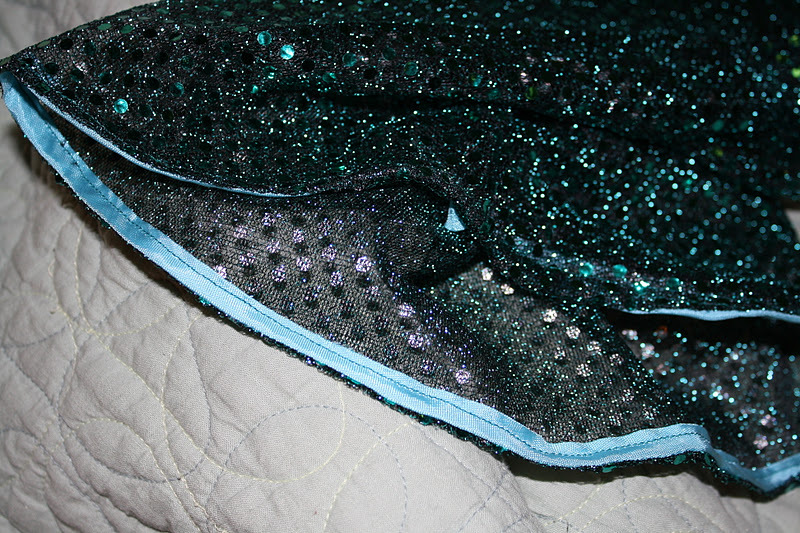 All I really need to do is add a hem binding and finish the collar, but it will remain an unfinished wadder since this was essentially a muslin in cheap crappy fabric (the sequin glue has seeped through the fabric), and hence I won’t be doing a pattern review. My sister has decided she would like a shirt like this in a plain or floral chiffon fabric at some point in the future, so I will do a review then, but for now this project is scrapped. 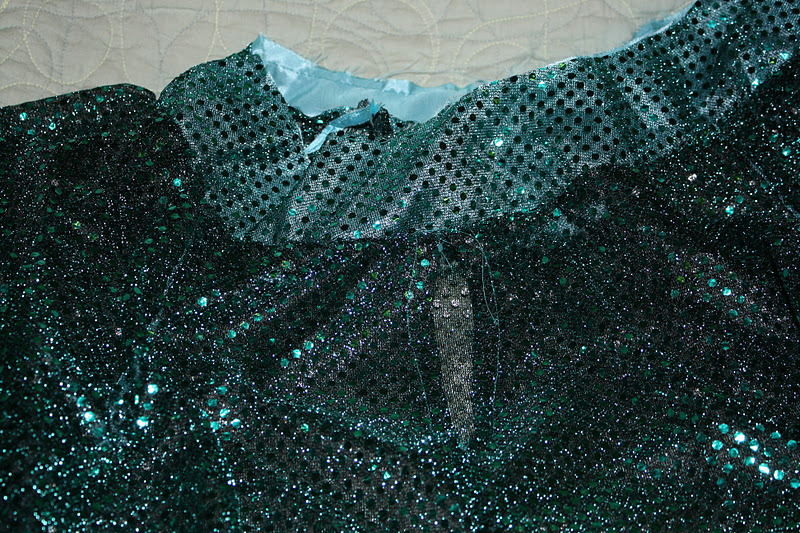 So my sister isn’t getting anything new to take back to England, but I am hemming more pants for her! 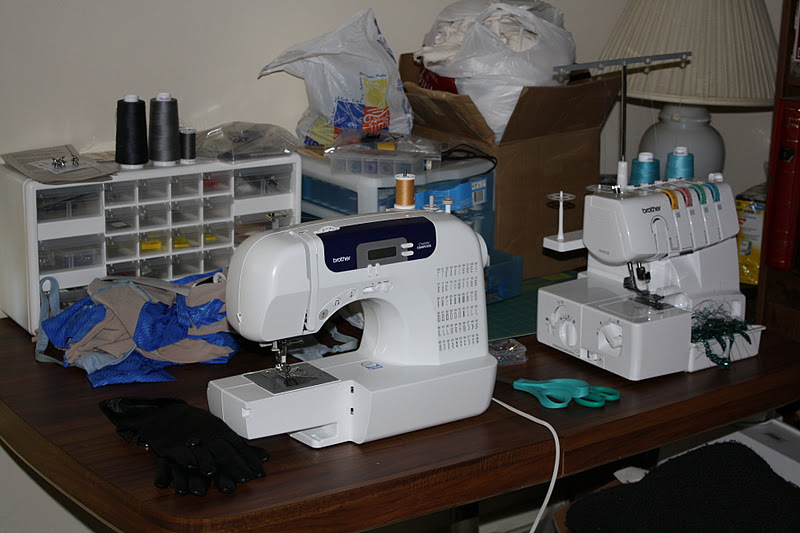 And we all know how much I love hemming… (cough cough). However, I am sort of ok with this, because it will probably result in more pattern magazines, which I consider fair payment for dealing with the difficult and arduous task that is hemming jeans. All in all, I am hoping to finish up these last projects of 2011 shortly so I can move on to getting my 2012 Challenge underway! I have already been doing a lot of research and planning for some of my first projects, so I will post my plans soon! Looking forward to seeing your 2012 Challenge ideas. Researching and planning is part of the fun of it all.